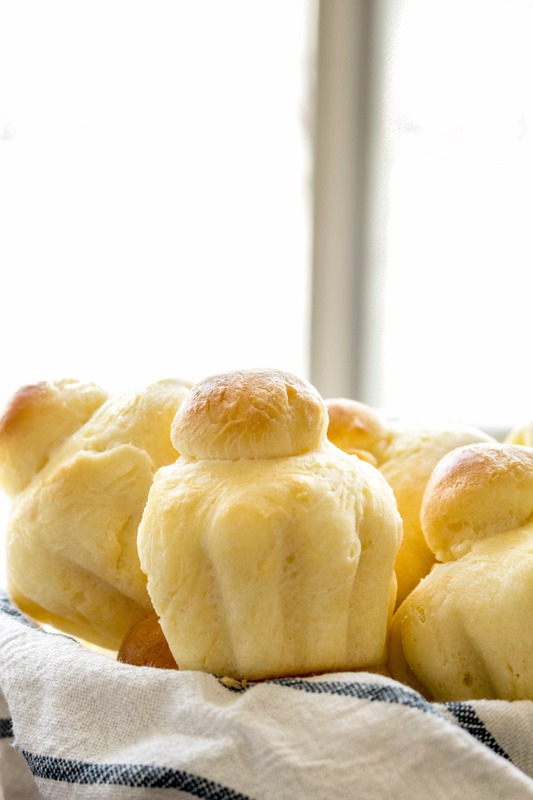 These Gluten Free Brioche Rolls are a recreation of a traditional French sweet bread. Brioche has a unique flavor and texture, a sort of melt-in-your-mouth experience. It is delightful fresh out of the oven, as part of a sandwich, or any other way you might enjoy bread. This post contains affiliate links. Please see full disclosure. 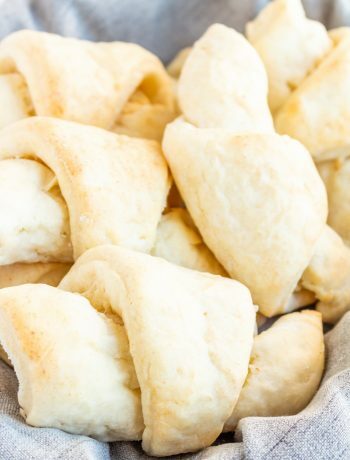 Gluten Free Brioche Rolls are delightfully rich, tender, and fluffy. 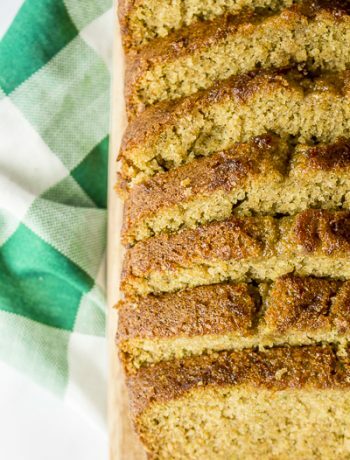 If you think gluten free breads are bland, dense, or difficult, this recipe will prove you wrong! 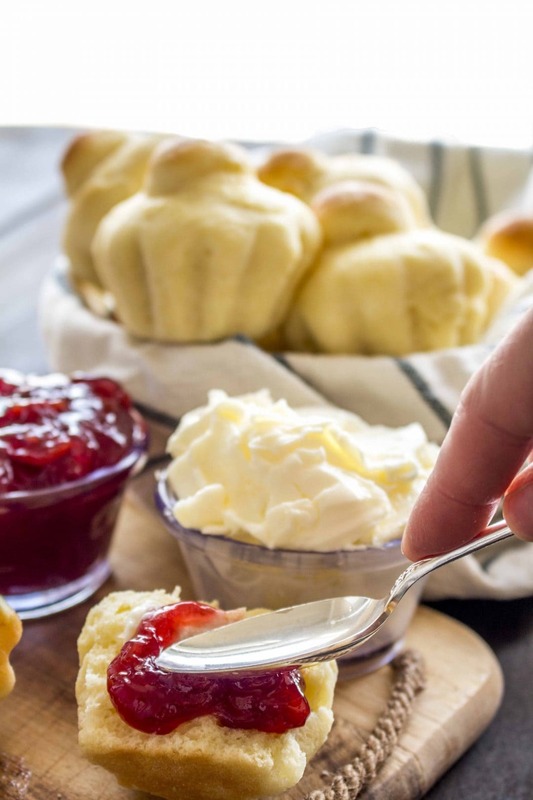 Traditional Brioche is made using an enriched dough – dough which has extra ingredients such as eggs, butter, milk, and sometimes additional sugar. These ingredients along with the method of gradually mixing butter into the dough, give brioche a tender and rich crumb. Also, If you don’t have a brioche pan, a muffin tin will work just fine! 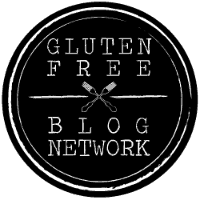 We love experimenting with gluten free breads (have you tried our Gluten Free Sandwich Bread or Biscuit recipes yet?) and gluten free brioche rolls provided a fun challenge. 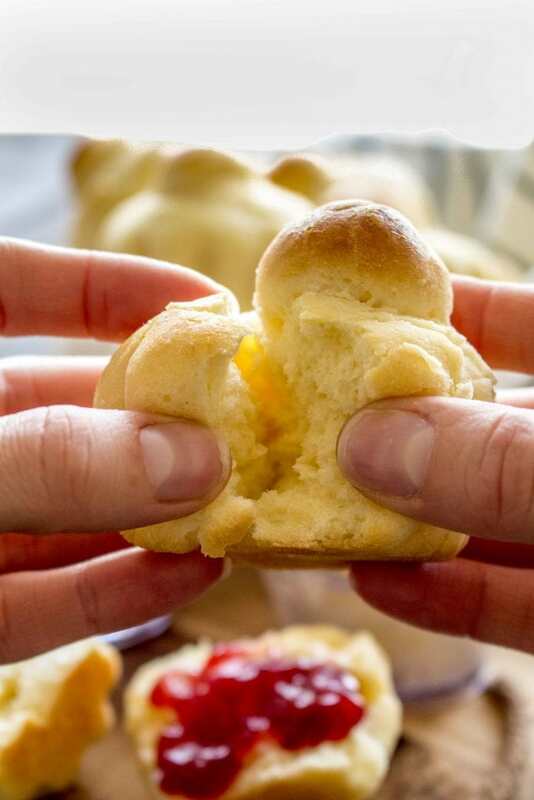 We purchased brioche molds from Amazon and got to work developing a recipe that would taste like gluten-filled brioche buns. Traditionally, you would refrigerate brioche dough overnight and bake the next day. This allows the dough to more fully take on the rich flavor from the butter. Gluten free dough loses some if its rise if you refrigerate overnight, so I recommend forming and baking right away. You’ll still be left with a delightfully soft and tender gluten free brioche roll! Make the dough as directed, mixing to a frosting-like consistency. Sprinkle a generous amount of gluten free flour onto the counter, and turn the dough out, turning to coat. Use a sharp knife to cut the dough into 12 equal pieces. 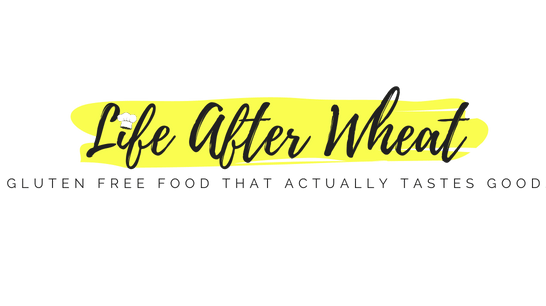 You don’t want too much flour, just enough to keep the dough workable. 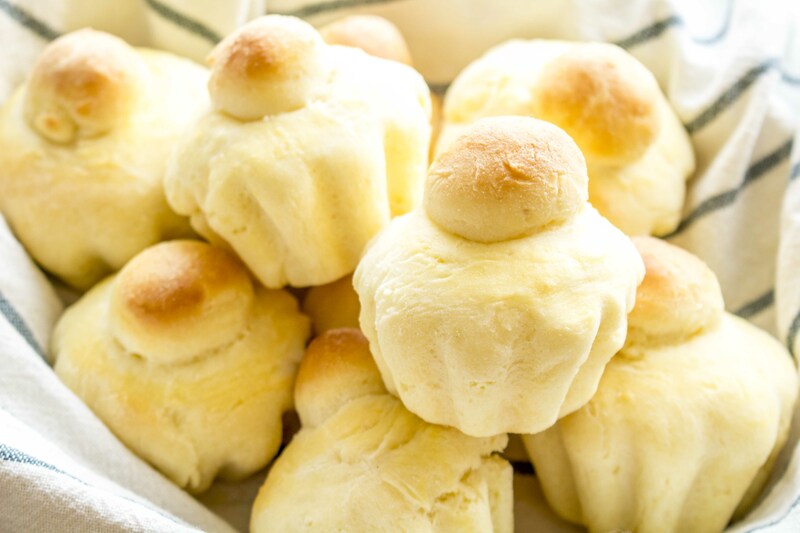 Pinch off a small ball from each piece of dough and reserve for the traditional topknot. Gently shape each remaining ball of dough into a circle and place in the brioche molds. Gently press down in the middle to make an indent for the topknot, and place the topknot in. Let it rise, and bake! Mix the dough as directed, mixing to a frosting-like consistency. Divide the dough between 12 well-greased muffin cups, let rise, and bake! Since brioche is a rich-tasting bread, we like to enjoy it as-is or with a schmear of fresh jam or jelly. It’s also delightful with a drizzle of honey…the choice is yours! As with most homemade breads, and especially gluten free breads, this Gluten Free Brioche is best eaten fresh. It might be crumbly the next day, just pop it in the microwave for 10-20 seconds and it will be as soft as ever. Thoroughly grease 12 brioche molds or a muffin tin that makes 12 muffins. Set aside. In bowl of stand mixer (or large bowl), measure gluten free flour. If using a flour mix that doesn't already contain xanthan gum, add it here and whisk into the flour. Make a well in the middle. Add yeast to one side of the bowl and salt to the other (a little trick I learned from watching Paul Hollywood on The Great British Baking Show) and sprinkle sugar anywhere in the bowl. Add eggs, milk, and vinegar to the center and mix on low speed until smooth. Add butter 1 tablespoon at a time, mixing for 20 seconds between each addition. The dough should be smooth and about the consistency of a thick frosting. If making in a muffin tin, divide dough evenly to make 12 rolls and smooth the tops with a spatula. If making in brioche molds, sprinkle 2-3 tablespoons of gluten free flour onto the counter and coat dough in the flour so it's workable. Don't mix the flour into the dough, and only use as much as you need. The more flour you use, the more dense your dough will be and the harder it will be for it to rise. Divide dough into 12 equal pieces with a sharp knife. Reserve a small section of each piece to make the traditional topknot, it will be a ball about 1/2 inch in diameter. Place each of the 12 larger pieces into brioche molds, and smooth tops. Make a small indent in the center of each and place the 1/2" ball in the indentation of each roll. Cover loosely with greased plastic wrap or a proofing bag, and let rise in a draft-free area for 15-20 minutes. My rolls don't double in size before baking, but they rise more in the oven. If they haven't risen much and it's been 20 or 30 minutes, go ahead and bake them! 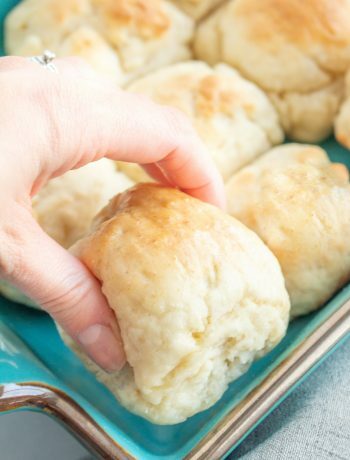 These rolls are best served fresh, but can be frozen and warmed in the microwave. Count me in for the schmear of jam or jelly! Great recipe! 1/3 cup of milk was not enough – I used -1cup Comments please. They are now in the rising stage. I’ve never made brioche before, but these look AMAZING! I can’t wait to try.